A first time participant to Unmanned Systems Asia Aselsan, the major defence electronics and technology company having supplied more than 70 countries in the world with its solutions and services, exhibited not only unmanned vehicles but also systems to counter them. 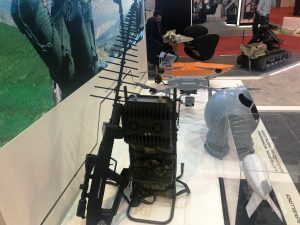 Unveiled at LIMA’17 in Malaysia and IDEF’17 in Turkey, İhasavar is an anti-drone jammer made of a gun-like antenna mounted on a rifle stock fitted with a telescope for aiming, and a backpack containing the related electronics and batteries. Typical output power is 60 W, the system operating in two band frequencies, the 400-3000 MHz and the 5.7-5.9 GHz one. 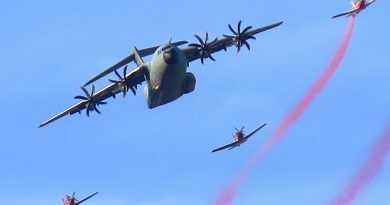 This allows to jam simultaneously remote control frequencies, GPS/GLONASS satellites navigation frequencies and data link/telemetry frequencies, neutralising the UAS as it will not be able anymore to operate and send images and data back to its ground control station. Software defined, the İhasavar is fully programmable, over 100 jamming profiles being available. The high gain antenna is directional, its aperture being small enough to concentrate RF power but wide enough to allow an operator to keep the target within the emitting cone for a sufficient time. The jamming is based on DDS (Direct Digital Synthesis) technique with FPGA (Field-Programmable Gate Array) controlled swept jamming. The electronics package is located on top of the rucksack chassis, and is fitted with two cooling fans, while Li-Ion batteries providing 1.5 hours continuous operation time at maximum power, are located in the lower part. In January 2019 Aselsan announced the delivery of the 500th İhasavar system, a key factor of its success being its cost-effectiveness and portability, the Turkish electronic champion looking now at the ASEAN market for its lightweight C-UAS system. Aselsan plans to exceed the delivery of 1.000 systems at the end of this year. Coming to unmanned, but shifting to the ground segment, Aselsan exhibited at Unmanned Systems Asia the UKAP/SARP armed system, UKAP being the acronym for Uzaktan Kumandalı Atış Platformu which means “remote controlled shooting platform”. 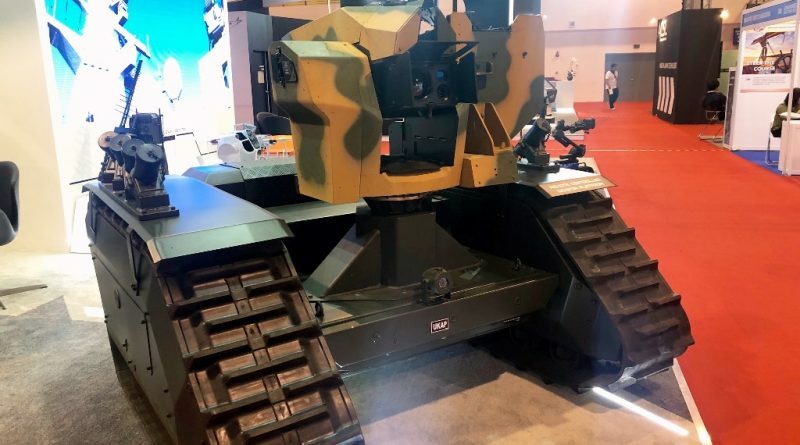 Also unveiled at IDEF 2017, this armed UGV is made of a tracked platform, jointly developed by Katmerciler and ASELSAN, the latter providing the control elements, and is fitted with Aselsan’s SARP remotely controlled weapon station. With a 2,500 kg combat weight, the UGV is 2,000 mm long, 2,170 mm wide and 1,400 mm high, and is powered by a hybrid system comprising a generator and a battery set, the tracks being activated by electric motors allowing the UGV to reach a top speed of 25 km/h. The UKAP can run for 10 hours exploiting the hybrid system, maximum distance from the operator being 3 km in line of sight. 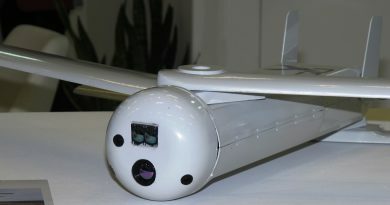 The platform is modular and can be fitted with different types of payloads including ISR suites. In the armed version it is fitted with the SARP RCWS that can be armed with various types of weapons ranging from 7.62 mm machine guns, MAG58 or M240, to 12.7 mm MGs, M2HB or NSV, to 40 mm automatic grenade launcher, such as the Mk19 Mod3; respective ammunition load is of over 1,500 7.62 mm rounds, 400 12.7 mm rounds or 80 40 mm high-velocity grenades. Elevation arc is of –30°/+60°. A nearly combat proven system, the UKAP can generate considerable interest in the ASEAN area. Aselsan also presented the Albatros Unmanned Surface Targeting boat family, which will be transforming the way the Asian Navies’ make live firing trainings. Having 40 knots speed, the fully autonomous agile USVs can be controlled from 10 NM, trying to follow predefined routes given by the operators. The scoring is done using Aselsan’s small rotary wing UAV, which provides live video feeds tracking the USV at all times. 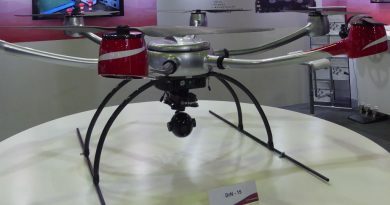 The company also introduced its state of the art new military grade Drone, SERCE-3; equipped with an integrated thermal and electro-optic payload, flies one hour, provides live video transmission from 5 km and is transportable in a backpack.